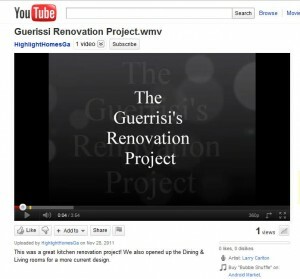 The Guerrisi Renovation is the first of many videos to come from the design/build team at Highlight Homes. In our continuing efforts to reach our core audience and clearly demonstrate what the professional designers and builders at Highlight Homes is capable of, we have produced our very first video for launch in the digital arena. We turn the spotlight on a renovation project we completed in 2009 that consisted of a kitchen renovation, as well as key changes to the dining and living room spaces. The video outlines the existing space, and then slowly walks the viewer through all of the subsequent steps including demolition, electrical work, drywall, ceiling and trim work, paint, cabinets, granite countertops, and decorative touches. The story behind the renovation is one we are very proud of, and was featured in an issue of Atlanta Home Improvement Magazine. Joe and Renee Guerrisi began the journey to renovate their 1950’s bungalow in late 2008. The couple had tried working with another builder prior to discovering Highlight Homes, but was never able to see eye-to-eye on a project to fit their budget or a design to fit their vision. They wished to open up the space while bringing the overall look of the interior of the home up-to-date. The Guerrisi’s called upon Highlight Homes to redesign the project – the blueprints exceeded their every expectation. Our original design called for the addition of two wings to the home and the conversion of their current carport to a three-car garage. Unfortunately, there were a few obstacles to overcome along the way. The Guerrisi’s were on another journey – their careers took them out of the country to live abroad in Singapore the majority of the year – only to return to the States for a few days every other month. 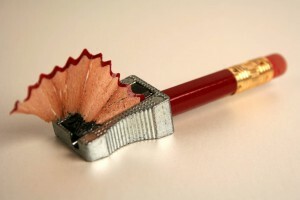 This made it necessary for many design/materials approvals and communications to be made via internet. In addition, due to the timing of the project in relation to the volatility of the banking and housing industries – the couple hit a roadblock with regard to securing a loan for an addition to their existing home. This led us back to the drawing board to find innovative ways to maximize the space they already had. From the moment the new design was approved, time was of the essence. The couple was moving back to the United States permanently, and wished to have their home complete in time for their arrival – that left less than two months to gut, rewire, install new plumbing, reconfigure HVAC, and completely alter certain structural components of the home. Highlight Homes’ experienced team worked swiftly to transform the Guerrisi’s home by knocking out two walls, removing two windows, eliminating a door and creatively resealing the space by matching the old brick on the exterior of home. We then added trays to the dining and living rooms, and installed new insulation and drywall. With the kitchen at the heart of the home, special care was given to the selection and installation of cabinetry, countertops, and finally appliances. The project was completed on time and within budget, and the Guerrisi’s had their “Home Sweet Home” ready in time for their return in early September 2009. They couldn’t have been happier with the results and later contracted with Highlight Homes again the following year to convert their carport to a garage! Be on the lookout for new videos of some of Highlight Homes’ most exciting renovations to date. YOUR home could be the next star of the show! Call us TODAY at 678-873-9234 for a no-obligation consultation to discuss your next home improvement project with one of our team members. Know someone else who’s considering a home renovation? Be sure to tell them about us. At Highlight Homes, we don’t just construct houses and renovate rooms. We create unique living spaces where you and your family will make memories together for years to come! HURRY!!! Highlight Homes is running a special promotion for the month of December! Sign a contract with us before December 31, 2011, and your name will be entered in a random drawing for a chance to win an iPad 2! This Thanksgiving, Highlight Homes Gives Thanks for YOU! As we prepare for a holiday devoted to giving thanks for our blessings, Highlight Homes wants you to know that we are thankful for you. From the vendors and clients we have had the pleasure of working with over the past few years, to the future friends and customers we have yet to meet – it is you who makes what we do so rewarding. This year has been filled with many exciting changes. We completed our first commercial renovation to rave reviews at Red Oak Animal Hospital in College Park. We formed strong alliances with Brand Mortgage, General Steel Corporation, and Keller Williams Group in Peachtree City – all of which spell great promise for the future of Highlight Homes. Our fearless leader – Tony Pourhassan – was nominated to the Board of Directors of the Greater Atlanta Home Builders Association’s Green Building Council, and our renovations division brought home the Gold OBIE Award for Best Kitchen Renovation Under $75,000. Our parent company, TyCam Development broke ground on an exciting master-planned mixed-use “live, work, play, pray” community in Birmingham, Alabama called Daniel Payne Legacy Village. It has truly been a year filled with blessings. At the same time, we are reminded of those who witnessed great tragedy during the year. We answered the call to help those in need in Georgia and Alabama following the line of tornadoes that struck in late April. Our hearts go out to those in Joplin, Missouri and Minot, North Dakota who lost their homes and – even worse – loved ones as a result of natural disasters. We have made great strides in the formation of a non-profit organization called the Georgia Redevelopment Foundation in hopes of being able to answer even more calls for need in the near future. We give thanks that we are afforded the time, talent and resources to those who so desperately need our aid. The best part is… by contracting with Highlight Homes before December 31, 2011 – you could be giving thanks for a NEW iPad 2 in the New Year! Simply sign a contract for your upcoming project with Highlight Homes LLC before the deadline, and your name will by entered into our drawing for an Apple IPad 2 to be given away on 1/6/2012. Call us TODAY for your no-obligation consultation at 678.873.9234, and visit us online at www.HighlightHomesGA.com to learn more about our company and our wide range of services. Company Principal Tony Pourhassan and Construction Superintendent Chris Gilliam pose with the newest addition to their trophy case - the Gold OBIE for Best Kitchen Remodeling. Highlight Homes was honored to be among the boldest and brightest of the Atlanta residential development, construction, and remodeling industries at the 31st Annual OBIE Award Ceremony on Saturday, November 12. The beautifully adorned ballroom at Cobb Galleria Centre was filled with some of the South’s most gifted craftsmen, designers, and visionaries all there to celebrate one another and their individual crafts. Company Principal Tony Pourhassan and Construction Superintendent Chris Gilliam were all smiles when it was announced that Highlight Homes had won the Gold in the Kitchen Remodeling under $75,000 category. The project that was submitted for consideration was the kitchen of a 1970’s Colonial home in the highly esteemed Newnan Pines Country Club in Newnan, Georgia. The original vision involved an update of the small, outdated galley kitchen in hopes of creating an inviting interior living space where the homeowners could easily entertain family and friends. Tony and the rest of the design-build team worked tirelessly to ensure that the homeowners’ vision was met and paid particular attention to the fact that old blended in with the new so the changes appeared seamless. Structural engineering played a major role as square feet were added to the home and the layout was reconfigured for flow. All told, the renovation involved a complete kitchen remodel, room addition, and deck addition PLUS transformations of the living room, dining room, half bath and laundry. The crown jewel of the kitchen remodel – something that really sets it apart and makes it one-of-a-kind – is the tile mosaic over the stovetop. It is hand painted and manufactured by the oldest tile company in Jerusalem. Highlight Homes not only ordered and installed it, but offered it to the family as a thank you for their business. In the end, the full remodel only took seven weeks to complete, and the clients were so elated that they have recommended Highlight Homes to a number of their friends and neighbors. Highlight Homes was also the recipient of the 2008 OBIE Award for Best Interior for their Cottages at Stillwood development, and our sister development company, Vesmont, Inc. won Best Community Logo for its Terrasol community. 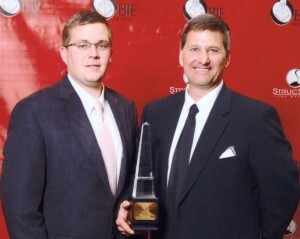 The OBIE Awards first made their debut in 1980 and have grown since to now feature more than 100 building, remodeling, marketing and personal achievement categories. The OBIE Awards, named after the obelisk shape of the actual award given, are the premier awards of Atlanta’s residential building industry. Highlight Homes is looking forward to another big win next year. Just think! 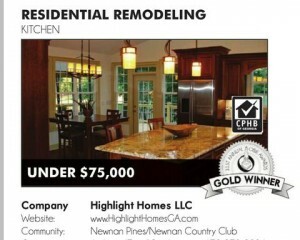 YOUR kitchen, bath, or whole home could be our winning entry! 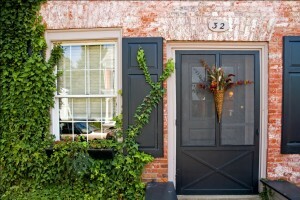 Considering a home renovation? Why not hire an award-winning company? Highlight Homes welcomes the chance to work with you in making your “home sweet home” a little sweeter. Call us TODAY at 678-873-9234 to schedule your FREE consultation. Sign a contract with Highlight Homes before December 31, 2011 and your name will be automatically entered into our drawing for a chance to win an Apple iPad 2*! *Winner will be announced in January 2012. Join the conversation… “LIKE” US ON FACEBOOK AND FOLLOW US ON TWITTER! When considering the solid reputation Highlight Homes has built with regard to our high-end quality craftsmanship, special attention to luxury details, and unsurpassed levels of customer service, I suppose you could say that we’ve got “class.” However, we didn’t get to the premier level we’ve ascended to merely by luck and certainly not by accident. We achieved this standing through my insistence on placing a major emphasis on continuing education. I regularly schedule classes for myself and my team to learn the latest technology, information, and skills so we can maintain a competitive edge in our industry and pass what we’ve learned along to our clients through the most up-to-date practices out there. We continually strive for new certifications, take time to learn about new products from our vendor partners, and work hard to achieve new skills so we can offer the very best goods and services to each and every one of our clients. Our most recent class involved door installations with our local vendor, Boise Cascade in Auburn, Georgia. Door replacements are a terrific way to enhance the interior and exterior of your home, while properly installed doors could help you save on energy costs. The very same can be said of window replacements. Aside from window and door installations, Highlight Homes also offers custom home construction, kitchen and bath remodels, basement finishing, room additions, decks & patios, whole home renovations, and so much more. For your no-obligation phone consultation, feel free to call me today at 678-873-9234. I’ll be happy to discuss your needs and schedule an on-site walk-through with you. If I don’t pick up, it’s probably because I’m in another class – so please leave a message or e-mail me at info@highlighthomesga.com.